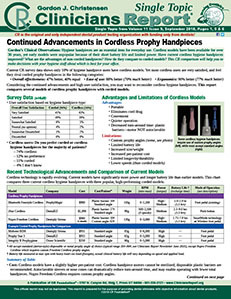 • Are Cordless Hygiene Handpieces Ideal for Every Office? This is one article from the September 2018 issue of Clinicians Report. For the entire issue, please go to September 2018.